Dining guides are not the easiest guides to do for a travel destination because I believe a journalist really needs to get to know the area and its dining options before suggesting places to dine. Sure, we can list the restaurants a PR firm gives us on an area, but what really sets a blog apart from a magazine or news story is opinion and experience. I'm proud to say that I've been in every single restaurant that I'm including in this guide, and since it is online, I can make changes as needed. In other words, if I frequent a new restaurant that I like, I'll add it and if I visit one of these again and it's not up to my standards then I can delete it from the list. Since my father-in-law lives on the Crystal Coast, I frequent Beaufort often. I've been eating in some of these restaurants listed here for years. Some of the others I dined in for the very first time when my family went on a 3-day press trip to the area. The area: The Crystal Coast consists of the beaches of Emerald Isle, Indian Beach, Salter Path, Pine Knoll Shores, Atlantic Beach, Morehead City, Beaufort and Harker's Island. Things to Keep In Mind About My Dining Guides. I am not a foodie by profession nor do I have the skill set to be one. I dine in some great restaurants at home and on my travels, but I don't always dine farm-to-table nor do I always dine high-end. If I do dine high-end, I like to keep my kids at home unless I'm on a press trip where they have me dining high-end on my agenda then I have no choice, but to bring them. I always ask my contact, "Are you sure this is the best fit for us." And I'm not shy about having travel destinations change the press agenda if I feel something is too formal for what I would normally do with my children. My meals are not always enjoyable with my children, and Will and I want to enjoy our $35 filet mignon without hearing "He's gross. He pooted," or better yet, "Can we go now? I'm bored. I'm done eating. Why aren't you? Mama, I want to leave." If you have children then you know exactly what I'm talking about here. Let's be real. I want to savor my $12 glass of wine and there is a really good chance that my husband is still eating, and savoring every single bite of his $35 fillet. We work too hard for our money to not enjoy the ambiance and have a relaxing dining experience when you're paying over $25 for entrees. Our life is pretty simple except for my lodging choices, and I try to make it even more simple with kids in tow when it comes to our dining choices. I do like to eat local, and support local restaurants in the destination I travel. This guide will reflect that 100 percent. I will, however, dine in a Jersey Mike's or a Moe's (all are franchised, but locally owned) when we're quickly trying to get out of town and need to grab a quick bite before heading home. I named those two franchised restaurants because they are well known and are my children's favorite places to eat in the world. And just so you know, both of those restaurants can be found in Morehead City. But now, for my local Crystal Coast dining guide. I've divided this guide into two parts. Restaurants where I would dine with my own children, and restaurants where I think I would rather dine alone with my husband. Amos Mosquito's in Atlantic Beach: This eclectic restaurant's no-reservation policy will make you wait for your food, but that wait is SO worth it. Before our press trip in March, I had never dined here and I have a feeling that I will never NOT dine here again. I loved the atmosphere, and its' kid-friendly vibe. It's casual enough that you feel comfortable bringing the kids, but yet foodies will like the experience, too. And that is a win-win in my book. The lump crab cake appetizer is really good as is the scalloped scallops entree. 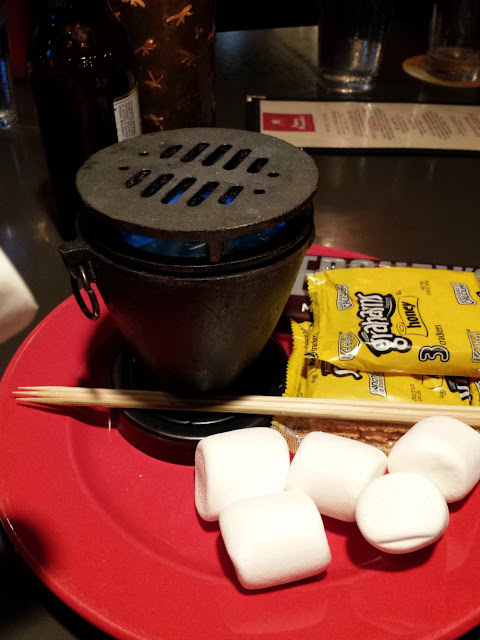 The tableside s'mores will make your kids smile and the restaurant has a solid kid's menu with lots of options. Many entrees are over $20, but the restaurant's whimsical feel makes it the perfect dining establishment to dine with children. Executive Chef Luke McGuire specializes in modern American cuisine with a southern flair using local, sustainable ingredients. Open daily during the summer season. Queen Anne's Revenge in Beaufort: I like to dine at this casual/upscale eatery on the Beaufort waterfront for lunch. They have salads, burgers, pizza, and great sandwiches/subs. Occasionally, they will have a tomato basil soup as the soup of the day and I could eat it by the bucket. It's delicious. 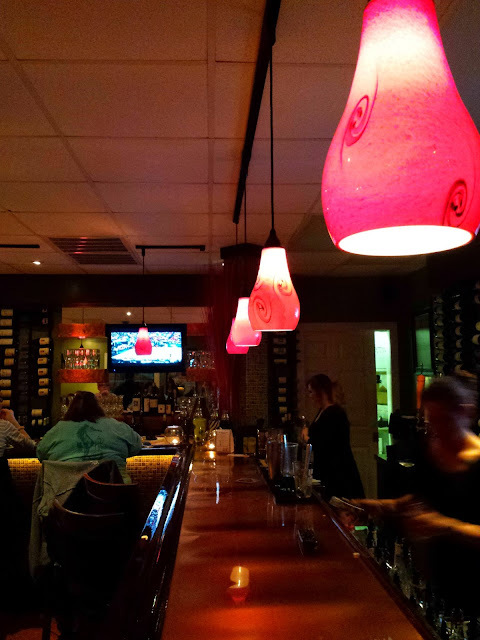 The restaurant has craft beer and an extensive wine list. Sitting outside makes it seem a little less formal, which is perfect when you have kids. I've not dined in the restaurant for dinner, and the menu is slightly more formal with entrees, but a good bet for dining with kids with entrees under $20, which is where I like to keep a price-point when dining with my own kids for most of our travels. Dock House Restaurant in Beaufort: This is a great spot for live music and casual food overlooking the water. It's been awhile since I dined here, but I have always enjoyed their burgers with a nice, cold beer. This is a popular destination on live music nights so getting an outside table may be difficult. Spouter Inn Restaurant and Bakery in Beaufort: This is another solid Beaufort dining option overlooking the water. It's one of Beaufort's older restaurants, and I dined here with Will and the kids for lunch in late March for the first time. It's atmosphere is a little more formal in style than Dock House or some of the others I have named here, but they welcome kids with crayons and a special menu. I loved the lunch menu with its gourmet twist. The crabcakes are fantastic. I think if your children are quiet and well-mannered at the table then I would say this would be a good family, dining bet, too. Tables are close together. The restaurant also serves brunch on Sunday. Entrees in the evening start around $23. Clawson's 1905 Restaurant and Pub in Beaufort: This restaurant reminds me of something out of yesteryear. It's 100-percent kid-friendly, and serves up fresh seafood and comfort food using local produce. It's the type of restaurant where most anyone would be able to find something on the menu to appeal. Other than some blackboard specials, most prices hover under $20 for entrees, and here, you can even find fried seafood on the menu. It's a great place to discover some of North Carolina's best craft brews, too. No Name Pizza and Subs in Beaufort: It's hard to imagine that a restaurant has survived since 1982 without a name, but it has. No Name Pizza serves up Greek and Italian fare. I don't really love to dine inside the restaurant, but we get take-out a lot when we are in town. They have good pizza, stromboli, calzones,, and Greek salad. It's just an ordinary neighborhood restaurant in terms of atmosphere, and it's small inside. If I'm dining out while vacationing on the Crystal Coast, I prefer to dine in the historic area of Beaufort and have my father-in-law babysit and then I take in a more foodie destination, but you cannot beat getting take-out when everyone is tired and you just want to eat at home. Sanitary Restaurant and Fish Market in Morehead City: You can't come to Morehead City and not dine at Sanitary Restaurant. It's a legend in this part of Eastern North Carolina. It was established in 1938, and serves up traditional, fresh, fried seafood and prepares some of the best fried seafood in the state, if "Calabash-style" is your thing. My son thinks Sanitary serves the best fried shrimp in the area next to Calabash and it is absolute favorite restaurant in this area. The restaurant has done an outstanding job of keeping tradition, but also moving forward with today's culinary trends, too. You can find fried shrimp burgers, chowders, and seafood dishes of the day. We also love that the kid's menu features seafood. It sounds a little silly to say that, but you would be surprised of the number of seafood restaurants that do not include shrimp or fish on the kid's menu. We give a thumbs up anytime we find seafood on a kid's menu because my kids love shrimp and fish so much. It's also great to dine on the water and watch the fishing boats come in with the fresh catch. Entree prices range between $15 and $22. Front Street Grill at Stillwater in Beaufort: It's been awhile since I dined here, and I ate here way before I had kids in my life. It was a fabulous culinary experience then with crabcakes that I fondly remember, and it continues to be a top-rated restaurant in Beaufort. Would I take my kids there now? Probably. The restaurant serves lunch, brunch and dinner. 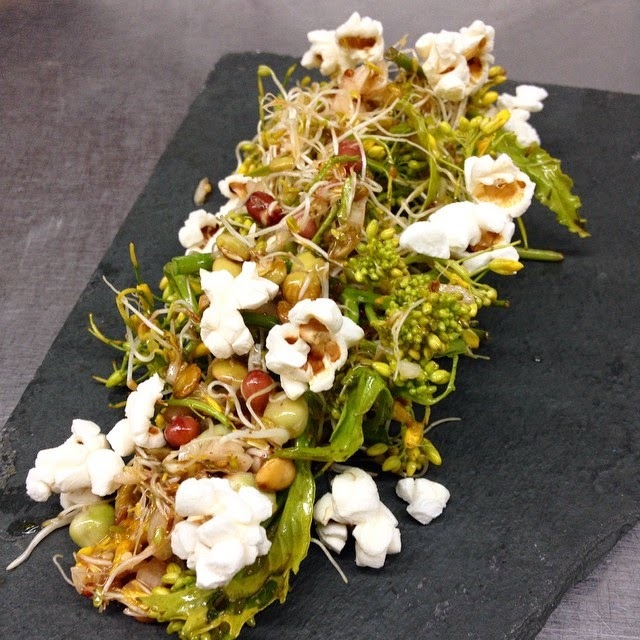 The emphasis is on local, organic sustainable ingredients. I haven't dined in the restaurant recently so not sure if they have special kid's menu like some of the other restaurants I have named on this list, but they do have a burger on a menu. It's a gourmet burger with pimento cheese, etc, but my kids would eat it plain and they have fancy fries on called "pomme frites". We are good to go here just with those items alone. It also has outside dining which is another reason that I think it would be OK for children Entree prices are $17 and up. I think foodies would enjoy dining here as well. Floyd's 1921 in Morehead City: I dined here several years ago, and at the time, it seemed to be as a high end restaurant suited for couples. The food was very good, but since that time, Floyd's has added patio dining, live music, and more casual dining options on the menu. The menu will appeal to all tastes with small plates to sandwiches to hearty entrees. They also have a special kids menu for children under the age of 12. Floyd's is open for lunch, dinner, and Sunday brunch. Circa 81 in Morehead City: Foodies will enjoy Circa 81, and it's the type of place that you can experience farm-to-table cuisine, but still bring the kids in tow in a tapas style restaurant.They do have a kid's menu, and will work with you to make any of the items on the menu kid-friendly, too, For example, my son wanted something besides a burger or fried chicken fingers that night so the chef prepared a lunch-size crabcake sandwich, and left off the bun for us. The restaurant makes craft cocktails, and owner/chef ClarkeMerrell impresses with his shrimp and grits. 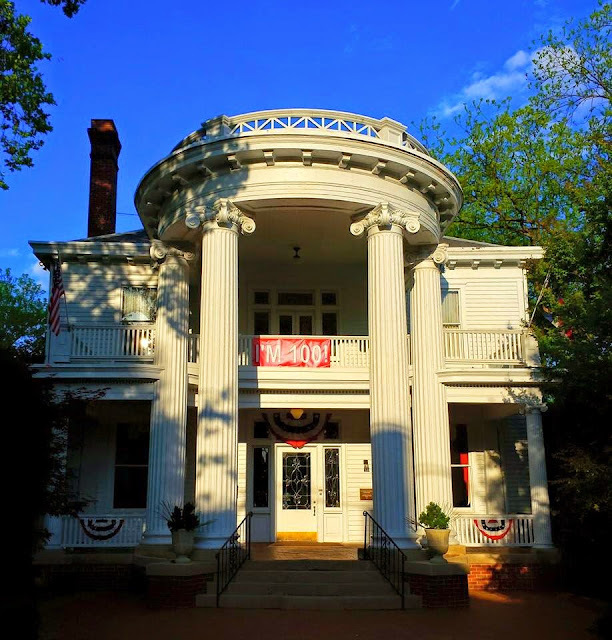 I think this is the type of restaurant that makes a great date night, but if you are on vacation and need to dine with the kids then you will feel right at home, too. 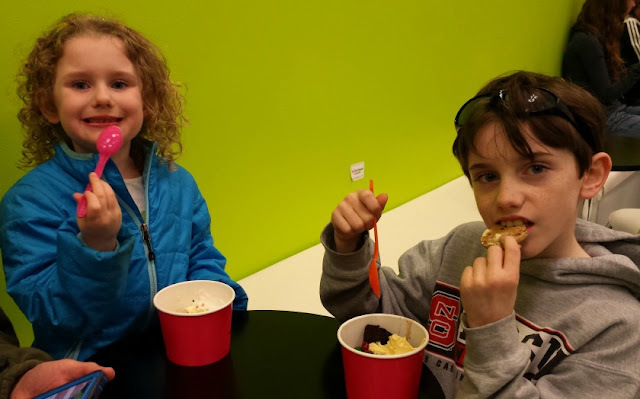 Circa 81 has some great desserts on the menu, but the kids will love going to Clark Merrell's Twisted Spoon Yogurt Bar any night of the week, which is about a mile away from Circa 81 in another strip mall. Twisted Spoon offers dairy-free, non-fat, low-fat and no sugar added frozen yogurt options with lots of great options. You can tell it is owned by a gourmet chef because he also offers yogurt served with a homemade brownie at the bottom of the bowl and he suggests topping it with a Balsamic Vinegar from his own Beaufort Olive Oil Company. Twisted Spoon is not your average yogurt bar. We highly recommend it. I'm definitely not telling you to leave your kids at home to dine in these restaurants, but I've only dined in the following restaurants sans kids except for one on the list. Based on the atmosphere and price point, I think these are better suited for diners 10 and up unless brunch or lunch is served. That's just my opinion, but sitters are not always an option when you are on vacation so I'm sure any restaurant would welcome diners of all ages. You could always call to see what dining options would be available for your child. Beaufort Grocery Company in Beaufort: This gourmet restaurant serves lunch, brunch, and dinner. I would take my kids for brunch or lunch, but with prices hovering over $25 for entrees in the evening, I consider this more of a special foodie destination at night. It is considered a very fine dining experience in the town and has received many accolades. AQUA Restaurant in Beaufort: This is a sister restaurant to Clawson's and it's the type of restaurant where presentation is as important as taste. It's been awhile since I've dined here, but reservations are certainly recommended. It started in 2003 as a tapas-style restaurant and the menu changes seasonally. Local flavors are a priority on the menu, and it has a very lively bar-scene with half-price wine nights and signature martinis every Thursday. Blue Moon Bistro Bistro in Beaufort: Have you ever had a meal where you can remember it as one of the best meals you've experienced? That's how I feel about Blue Moon Bistro, and it's been years since I've dined there. 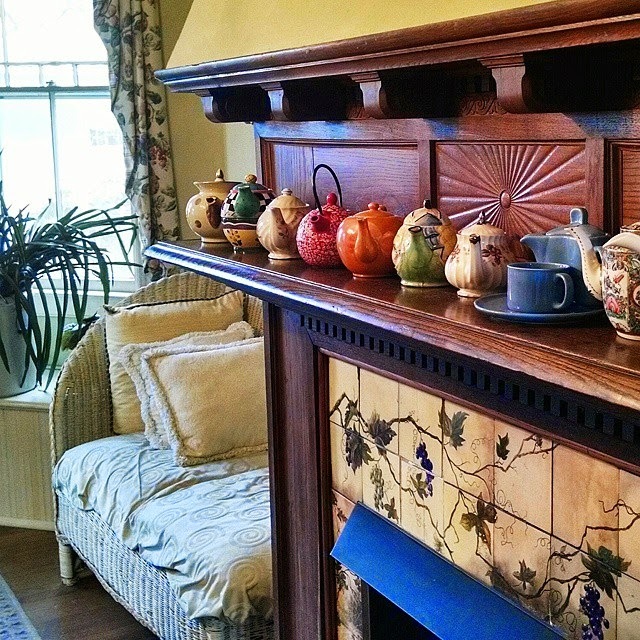 It is located in the historic Dill House in Beaufort. The cuisine is farm-to-fork, and absolutely delicious. It's a casual restaurant, (no jacket required), but entrees are worthy of a fine dining experience. Prices reflect that, too. 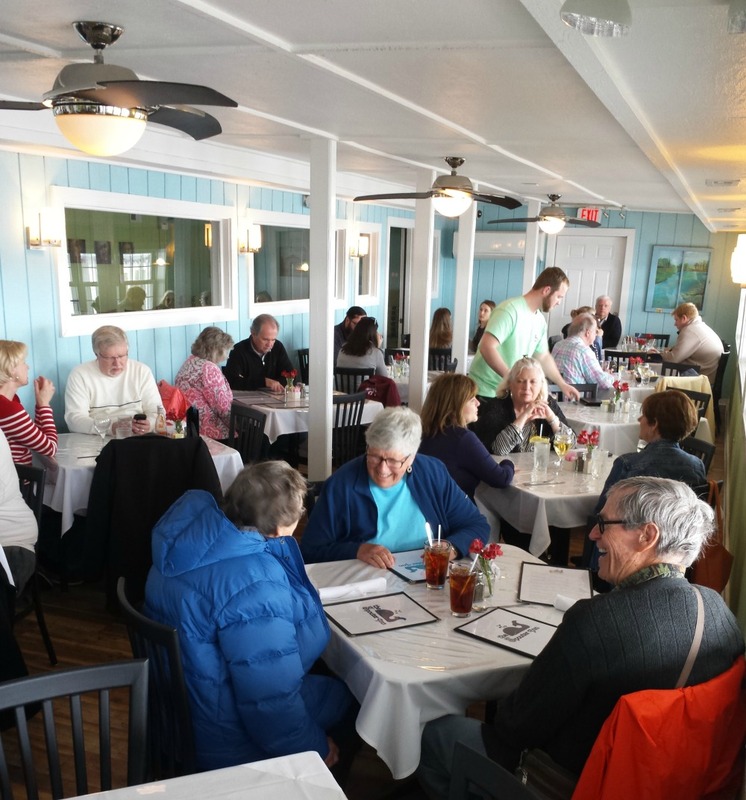 Bistro-By-The-Sea in Morehead City: This is a lively restaurant specializing in steaks and seafood. It has a piano bar on weekends. The night we dined on the press trip, there was a belly dancer. The food is very good, and I do recommend the dining experience. Bistro-By-The-Sea has a good wine and cocktail list, but not a large craft beer selection. The restaurant will work with you to help feed your kids. They do have a gourmet mac and cheese entree, but my kids just aren't big fans of that dish, even when it is plain. My two ended up splitting a filet mignon that evening, which they loved, but that is an incredibly expensive dining option so this is why I believe this is a better "couple's pick" restaurant and is listed under the date-night option in my dining guide. 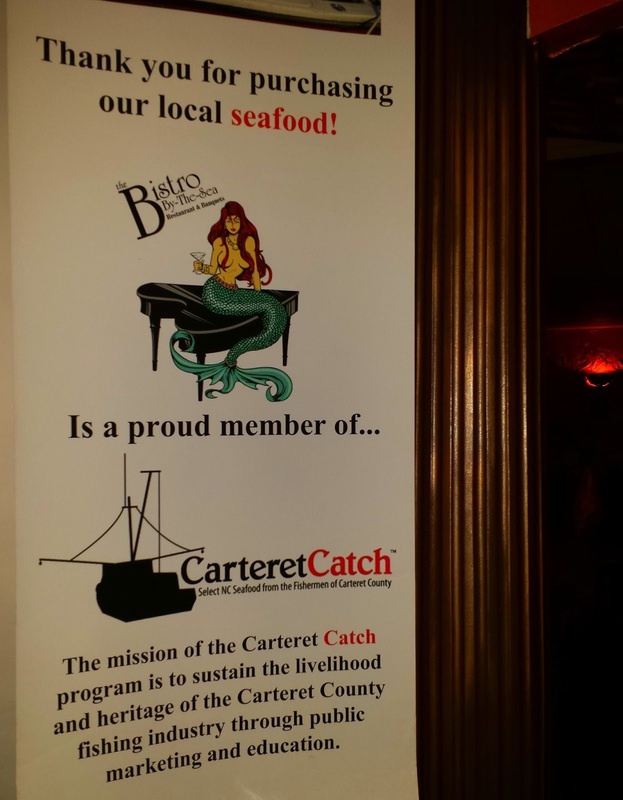 Many restaurants on this list support Carteret Catch. 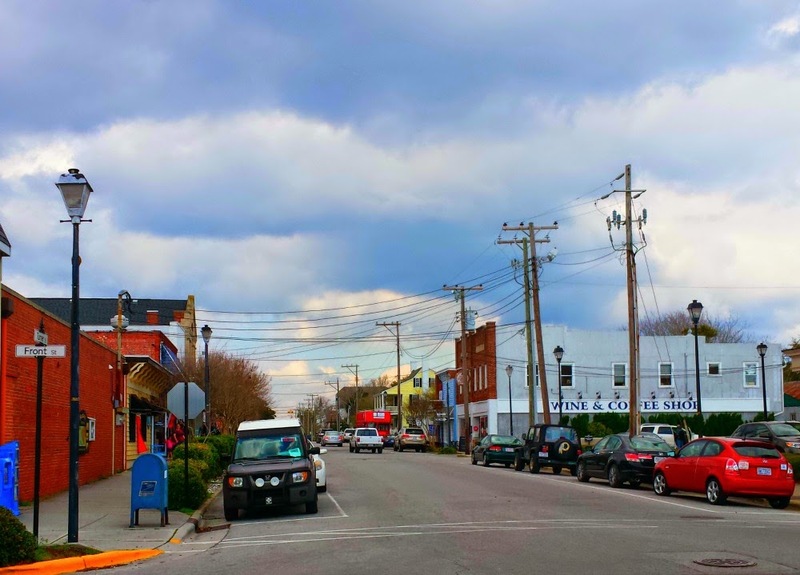 A Traveler's Look at Beaufort, N.C. I've been busy writing a dining guide for North Carolina's Crystal Coast that I hope to debut this week, and while doing that, I glanced down at my posting calendar tonight and realized that I've not posted here since May 16. That's kind of a long time in the blogsphere, Why the lull? Well, it's because May is busier than December, and I've barely sat down in my office. I was sick most of April with Bronchitis. My Mom has been ill most of April and May and I've had to check on her daily. She's doing better, and we celebrated her 80th birthday over the weekend with cupcakes. 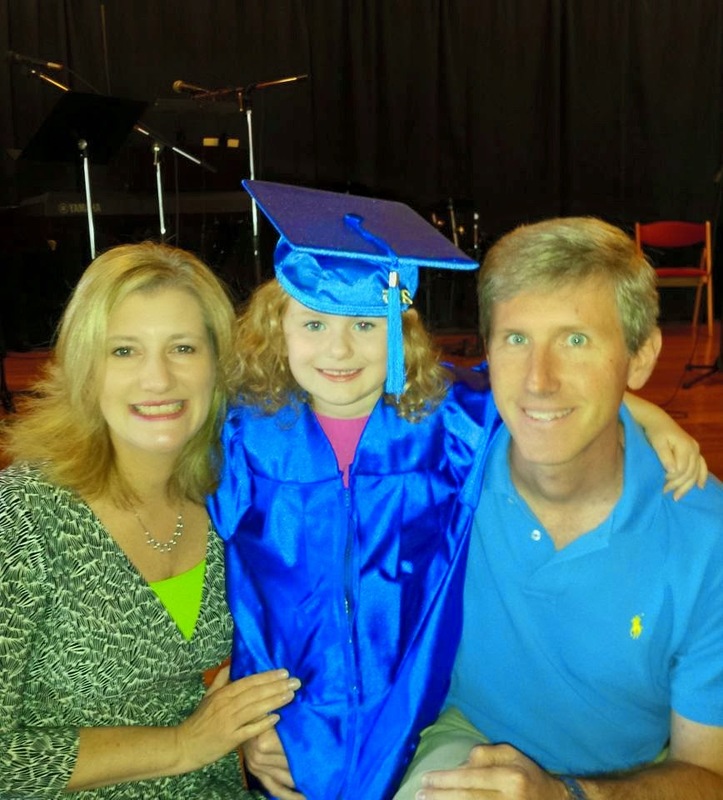 And the baby of the family graduated from preschool this month. She is ready to bridge over to elementary school this coming August. I think we are all ready for this next chapter in our lives called kindergarten. My other one has had spring concerts. He's now 9. 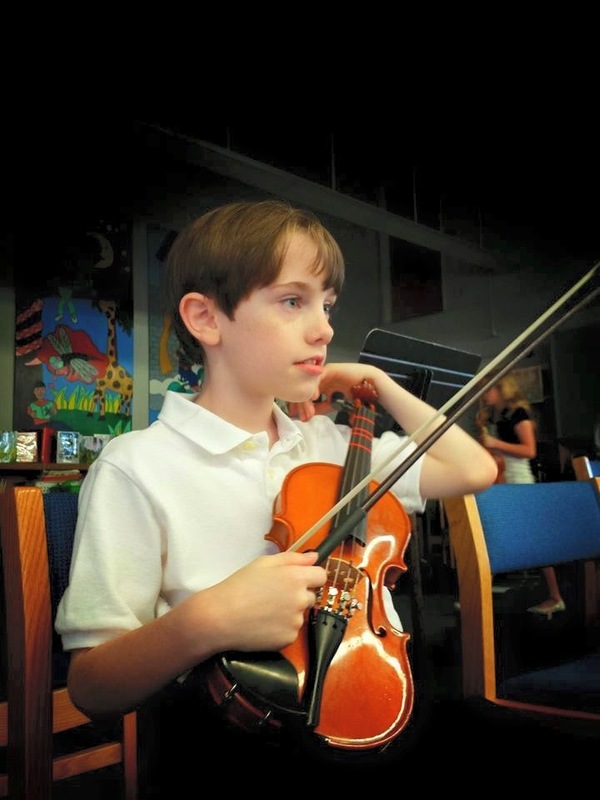 He's had a great school year and we're very proud of him. We have had no problems at all with the pineal cyst on his brain, and it's shown absolutely no growth at all. I have decided to take on the roll as PTA Vice President next year so things are going to get busier, but I'm ready for the challenge. The school year is quickly coming to a close, and we're ready for the lazy days of summer before we hit the ground running in the fall. It's always such a relief that first week when we don't have to be out of the house bright and early, but by week two, the kids drive me nuts with very little structure. I've given both kids the roles of interns for the HinesSight Blog so I'm putting them to work this summer. My son is to get us up to speed on video, and well, for my daughter.....not sure. Knowing her, she will want to star in videos but regardless, I plan to keep us busy getting #OutaboutNC and we'll be taking a trip to Washington D.C. this summer as well. Be sure to follow @HinesSightBlog and @OutAboutNC on Instagram. 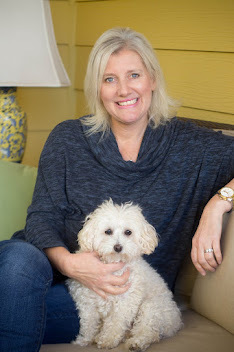 I was so pleased to have @OutAboutNC to be named as a travel account to follow on Instagram this week by Andrea Updyke, author of the Lifestyle Blog, Just is a Four Letter Word. Before I close, we also have one more hurdle to overcome. Unfortunately, Will has been diagnosed with melanoma as of last week. We hope we've caught this skin cancer early, but we still don't know much at this point. His first appointment is next week. Please keep us in your thoughts and prayers. Update on June 7, 2015: We caught Will's melanoma very early. He had an office procedure last week to remove the melanoma, and will follow up with continual dermatology checks. We feel blessed. Thanks for your kind words. I've been fortunate because Will has been a very hands-on parent for bedtime routines unless he is working late. I read to my son one night and he reads to our daughter. The next night, we switch kids. Of course, my 9-year-old can read to himself, but he still likes that time with a parent. He and I are now reading 6th Harry Potter book, but recently, we switched things up and began reading the National Geographic Kids Almanac 2016. This is a fun read and I think every elementary school-aged child needs to add it to their summer reading list. 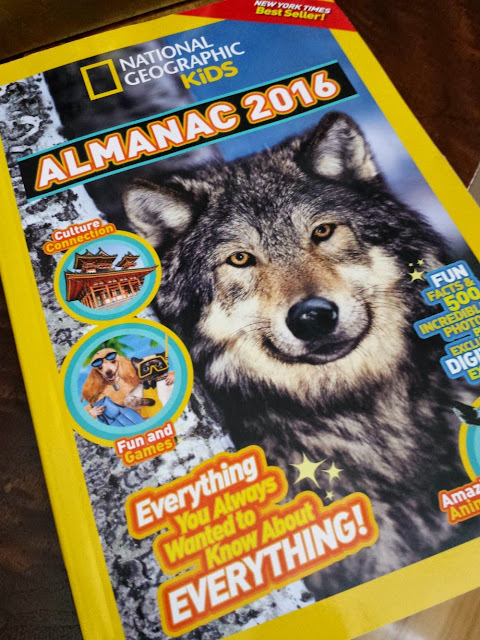 NG Kids Almanac 2016 is bursting with information about the culture, history, animal life, geography, wackiest weather and weird but true facts (coolest coasters, wildest hotels!) from every corner of the globe. In addition to an entire section that provides an overview of all 195 countries and another section containing info on our 50 states, the almanac also features "You Are There" vignettes, making the reader feel like they are on the Singapore Flyer (one of the world's highest observation wheels), spotting wild orangutans in Borneo or visiting the Mayan ruins of Copan in Honduras. Quite simply, the NG Kids Almanac is a terrific introduction to not only the exotic lands far from home, but also exciting locations just a car ride away. We've had a lot of fun reading it, and let me tell you....I feel so much smarter. If I ever go to a cocktail party, I'll have lots of opening lines. Let me just educate you. **Hey, have you been to Bermuda or the Bahamas lately? You're basically standing on ancient coral reefs. **Like honey in your tea? Did you know that a single honeybee colony can produce 200 pounds of honey each year.? That is 91kg. 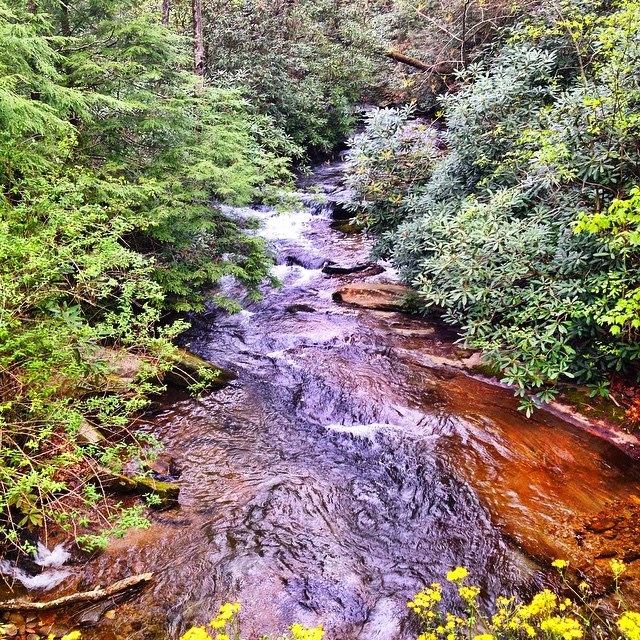 **We are so lucky to have the Great Smoky Mountains in N.C. Did you know that it is the most visited park in the U.S.? **Got some time on your hands? The horologists at Buckingham Palace in London deal in time daily. There are two on staff and their job is to wind more than 350 clocks and keep them ticking. I think the NG Kids Almanac 2016 will be great for road trips to keep kids entertained in the car. The entire book is 337 pages, and each time you open it, you discover new facts. I'm giving away one copy to a lucky reader. Enter below. Want this book now? You can order the book off of Amazon immediately. Learning can be so much fun. *I received a complimentary copy of the book to review. But, Beaufort is no Monte Carlo. It's not glitzy, but rather laid-back with a new trendy, preppy edge. Beaufort has always had its waterfront with big boats, historic homes, and gourmet restaurants, but now it also offers a downtown with cool coffee shops, wine bars, clothing boutiques that make Jack Rogers and Trina Turk lovers squeal with delight, art galleries, upscale gift stores with fine-linens, and a high-end pet shop with gourmet doggie biscuits. All of these factors mixed with history have really helped shape Beaufort, North Carolina into one of the coolest small towns in America. 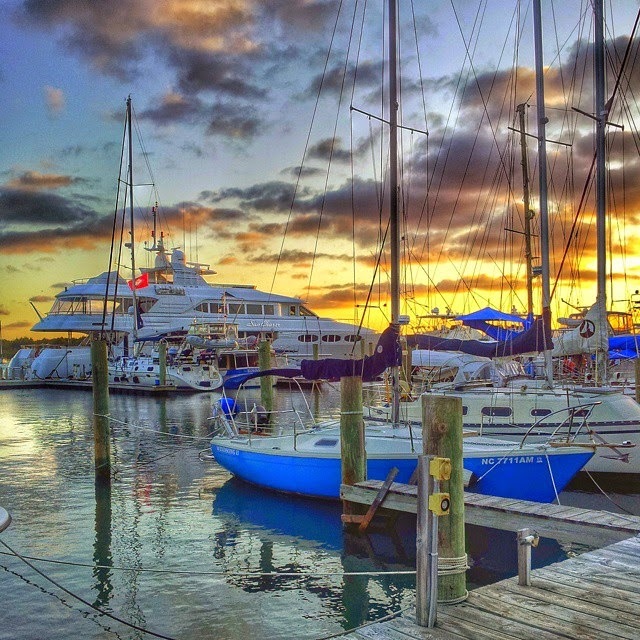 Beaufort is a hot vacation destination among North Carolina's Crystal Coast, and a town not to be missed when you are in this area. 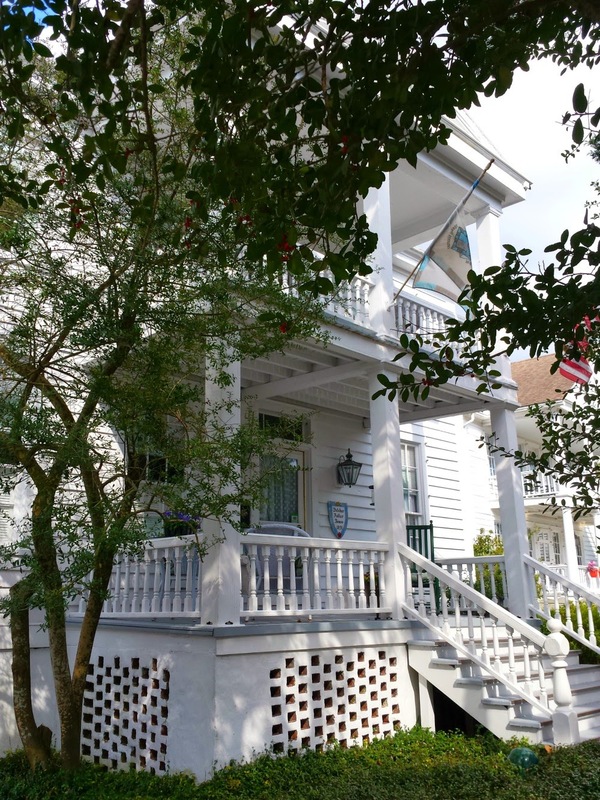 Beaufort is filled with historic bed and breakfast inns, and a few small hotels. Most homes are privately owned, but you can find a few vacation rentals with waterfront views. 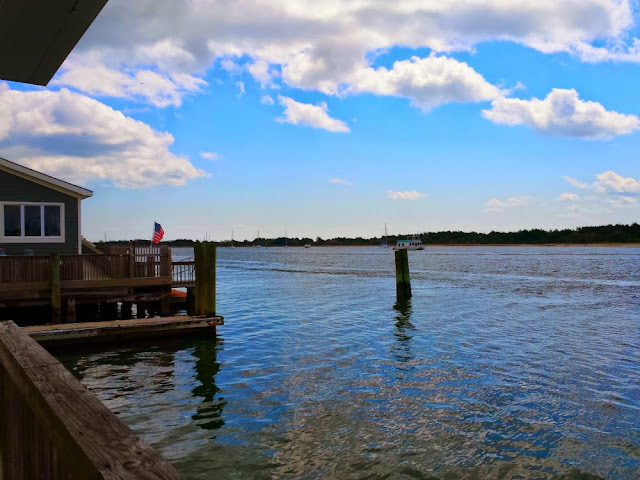 Beaufort also makes the perfect day-trip or dinner spot destination, especially if you are staying on any of the Crystal Coast beaches like we did on this trip. From Beaufort, you can also visit Cape Lookout and Shackleford Banks, the island with wild horses. 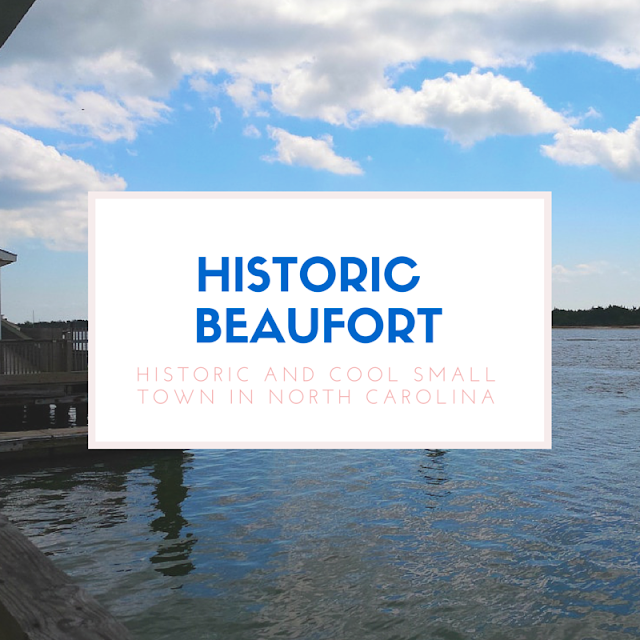 Beaufort is about 20 minutes from Atlantic Beach and surrounding beaches, 10 minutes from Morehead City, and about 30 to 40 minutes from Emerald Isle. A must-do in this town is the Historic Double Decker Bus Tour conducted on a 1967 London Double-Decker bus, operated by the Beaufort Historical Association. We loved this tour, and learned so much about the town. It is a royal treat for adults and kids. The entire tour takes about 45-minutes. The cost is $10 for adults and $5 for children. Tours are offered every day except on Sunday. The tour will take you by the Old Burying Ground, historic churches, and homes. 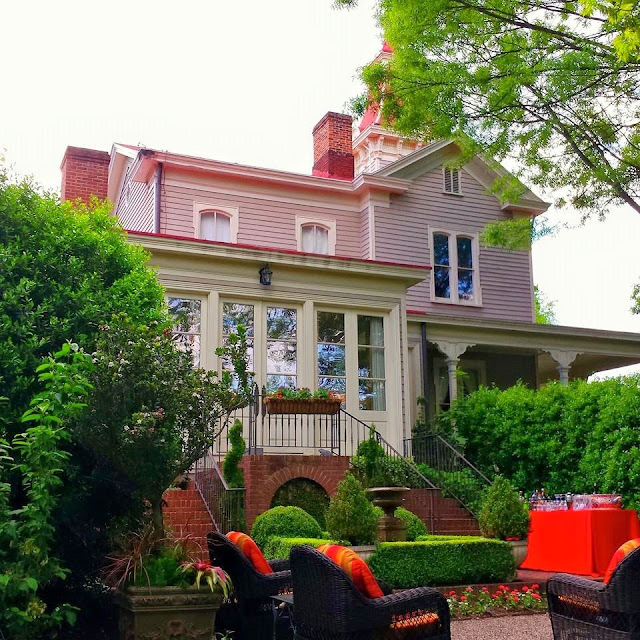 I personally love the homes, and a Beaufort event that is my favorite is the annual old homes and garden tour held each June. 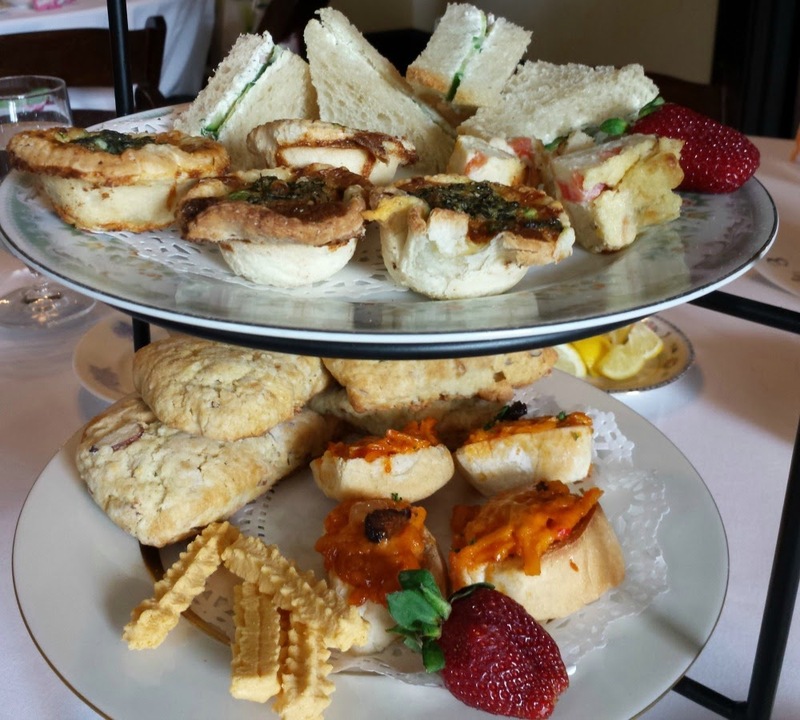 When you are on the Crystal Coast, Beaufort is certainly the place to enjoy fine dining. On this particular trip, we dined on the waterfront at the Spouter Inn Restaurant and Bakery which has been a culinary staple in this historic town for 30 years. 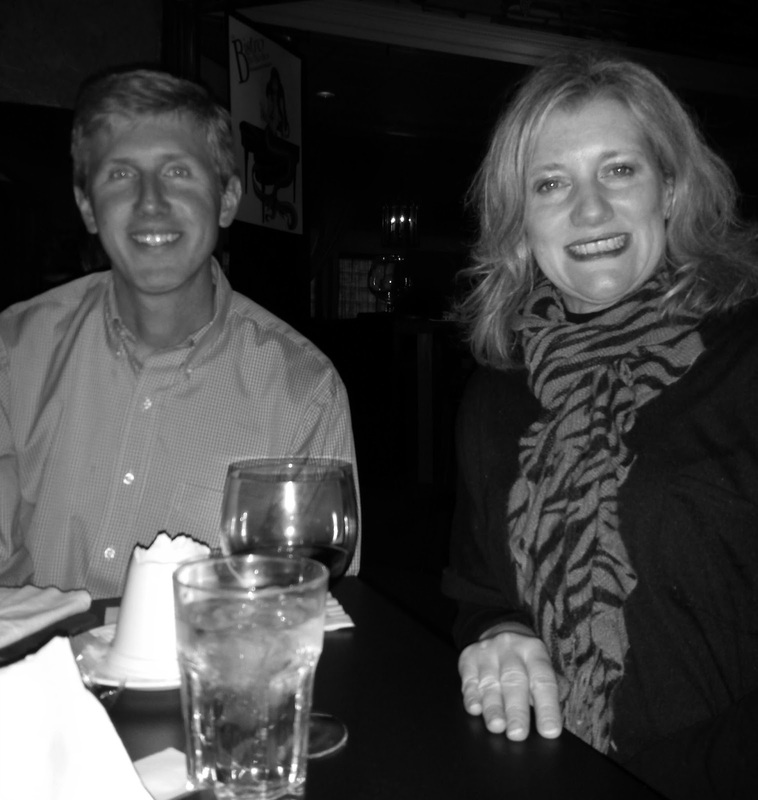 Despite my many trips to the area, this was the first time my family has dined at the restaurant. Here, you will dine with waterfront views like this. It is upscale, but not too formal for kids, especially during the day. They have crayons and a kid's menu. Dinner prices are above $20 for entrees, and I personally like to dine at that price point without my kids because my meals just aren't the same when I'm dining with my kids because I'm feel as if I'm always rushing or trying to focus on making sure they are behaving. I will soon post a dining guide for the Crystal Coast so look for that soon. 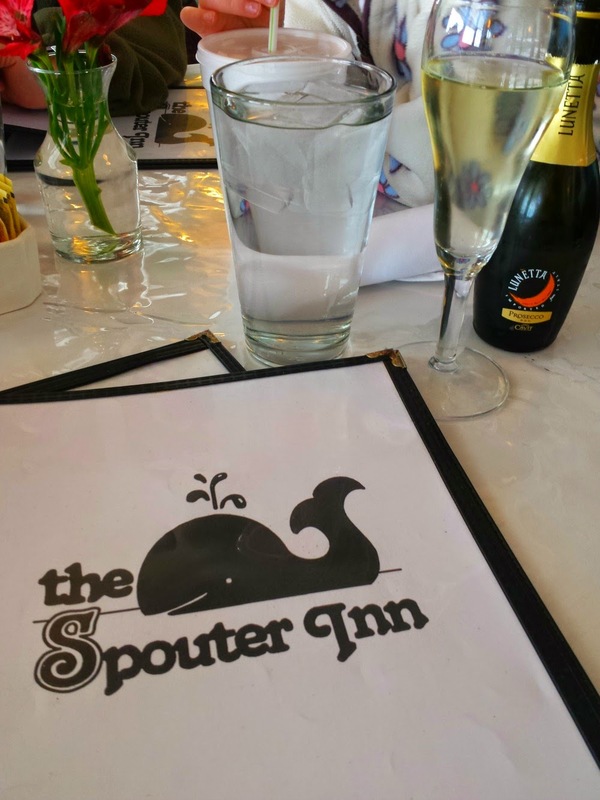 I loved my food at the Spouter Inn and will definitely go back. I got the crabcake salad, and it was divine. Reservations are suggested for dinner. 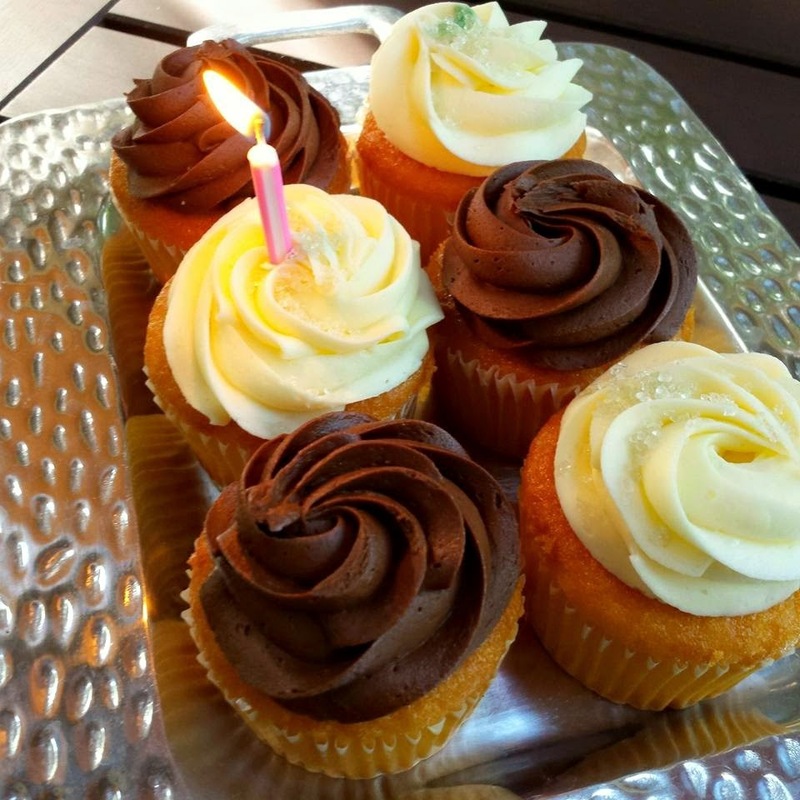 Desserts are the restaurant's specialty in Beaufort and it operates a public bakery. I was just too full to sample some coconut pie, and I really regret that decision now. I will do it on my next visit. Places of Interest in Beaufort, N.C.
*Many bed and breakfast inns prefer guests over the age of 10 or 12. Please check policies before booking for family travel. 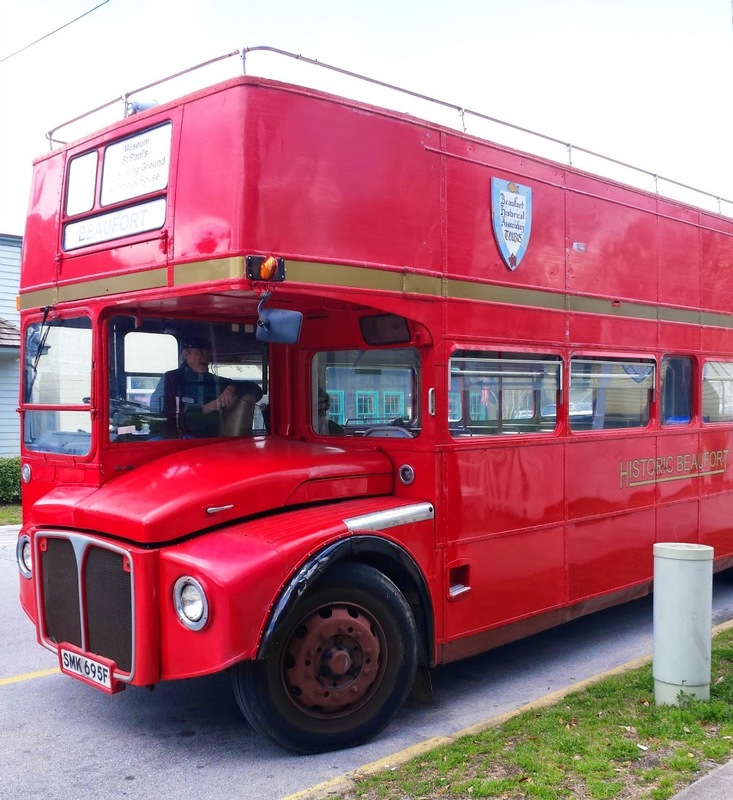 Disclosure: The bus tour and lunch at the Spouter Inn were part of my press agenda arranged by the Crystal Coast. #outaboutNC: 5 Shots that Make You Want to Visit N.C. 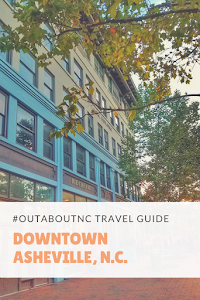 Since I established the #outaboutnc community on Instagram in late January, we now have over 3,000 photos in the public feed for our online travel guide. 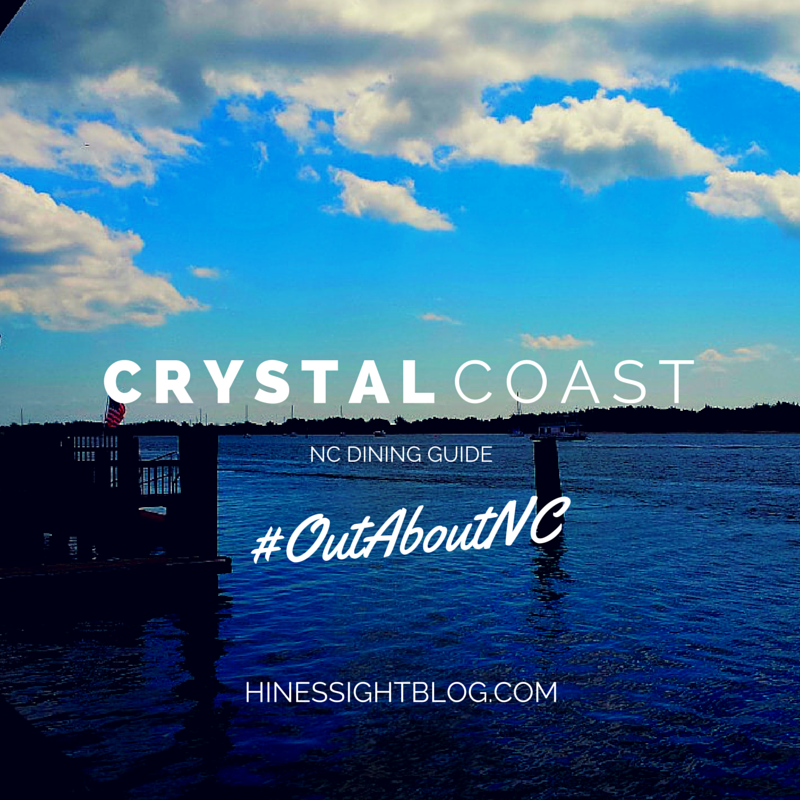 I check it daily and I love seeing what people in North Carolina are recommending for others to see, do, eat, and where to stay when they visit North Carolina. We have a lot of scenic photos, but we're still working on getting the other travel recommendations up. I think hotels and inns are more my own personal thing so we have less of that, but I'm so thrilled that N.C. locals and tourists are embracing the hashtag. I've learned about so many places since I started the feed. I try to feature at least one photo a day on the main @Outaboutnc Instagram account. This photo is from Mt. Holly, N.C., which is a place I've not visited in North Carolina. No doubt. North Carolina is an agriculture rich state and agritourism is something we are proud of and we love to showcase this segment of tourism at local farmer's markets. We are in the wonderful season where farmer's markets pop up in our small towns, city centers and in roadside stands. Thank you . @farmersmarketmh for the tag and reminder of how important our farmer's are to tourism and hospitality in North Carolina. Our wonderful restaurants and hotels depend on you. ・・・ We can't wait for our opening day on Saturday morning! Until then, what's your favorite dish to make in the summertime? For #IGTravelThursday, I'm picking some photos from the public feed to share with you. I'm going to try to break it down into travel categories. 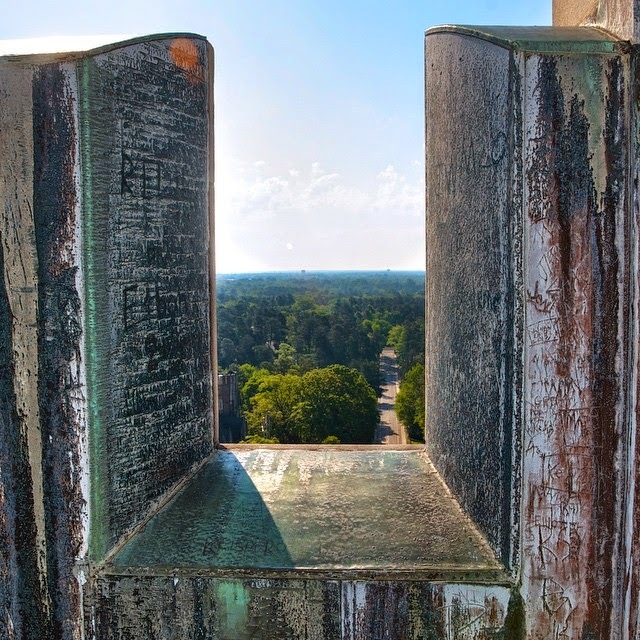 Ryan from the Instagram account itinerantryan recommends climbing the outdoor steps of Duke Chapel in Durham, N.C. to get this view. 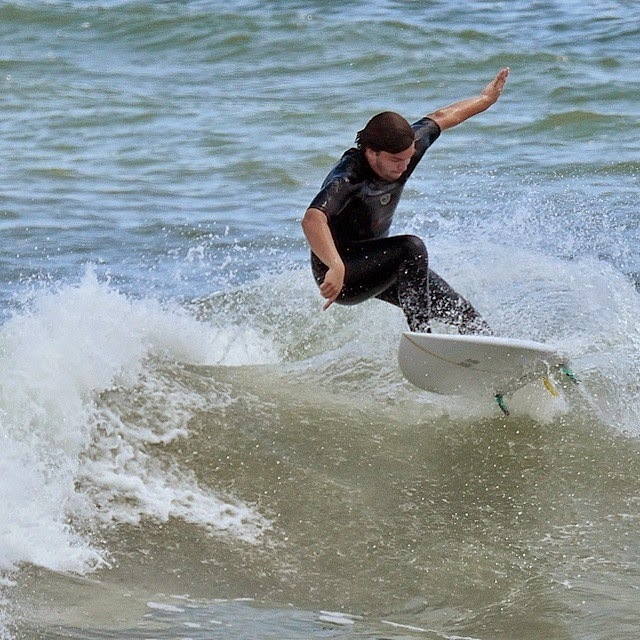 Instagram user NordicTuesday recommends watching the surfers at Fort Fisher. Instagram user pds_2.0 delighted me with a photo of his stay at the Camellia Cottage Bed and Breakfast in historic Wilmington, N.C. 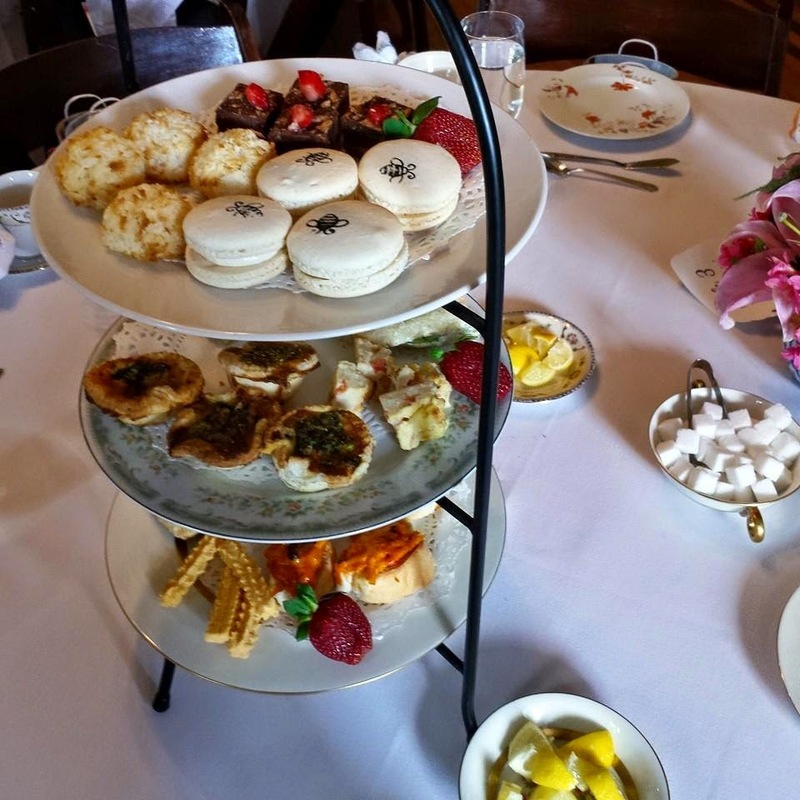 Tea time at the Camellia Cottage in the Wilmington historic district. Pick your favorite pot. 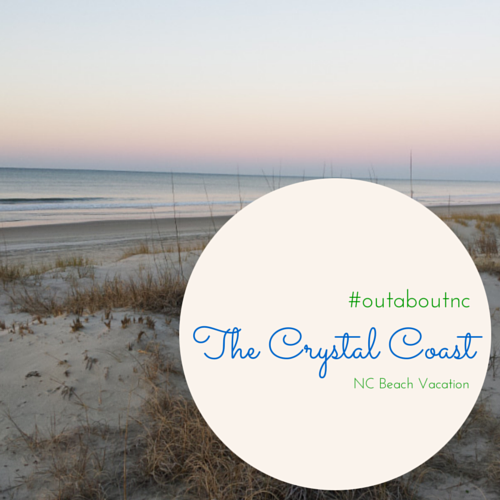 When you view the #outaboutnc, you do not have a hard time finding a photo showcasing North Carolina's natural beauty. There is a reason why we are the number 6th visited state in the U.S. Instagram user and photographer ssprenz captured this gorgeous photo of Montreat during a hike. Hiked in #Montreat before our lunch. Such a lovely view and the sound of the water was so soothing. To see more great travel recommendations for North Carolina locals and travelers, visit #outaboutnc on Instagram, and follow our feed. Today's post is part of the weekly #IGTRAVELThursday link-up founded by Skimbaco Lifestyle. I found myself on Saturday sitting at my computer staring at a door. Yes, a door. I kid you not. I got caught up in the hoopla of royal news. I was waiting for this. The day after HRH Princess Charlotte Elizabeth Diana of Cambridge was born I did something very English. 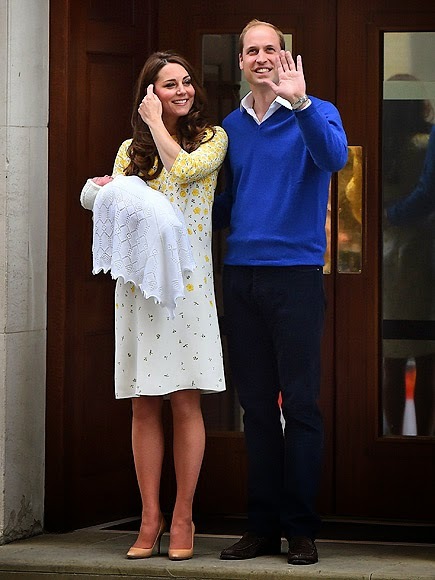 It was quite a coincidence in timing, of course, but it was the perfect end to a royal news weekend. 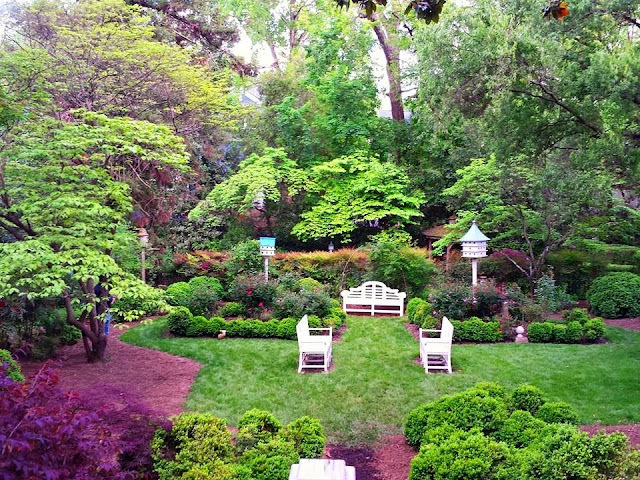 I attended the 26th Annual Oakwood Garden Tour and Victorian Tea on Sunday. It was my first time attending this event, and I'm in love with it. Last year, I was out of town, and I gave away two tickets to a reader. I will probably never not go to this event now. Seriously, it's my cup of tea. It is a fundraiser for the Oakwood Garden Club, which is Raleigh's oldest garden club. 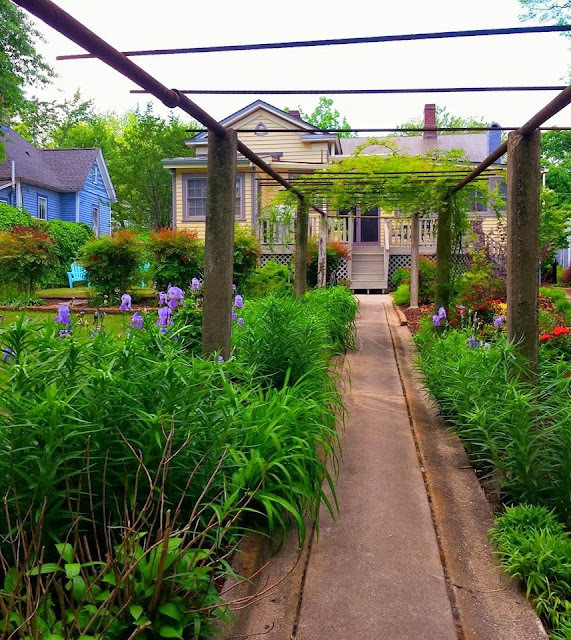 The Oakwood neighborhood is very distinctive and the streets are dotted with Victorian, Queen Anne, Second Empire, Craftsman, and Greek Revival architecture. I've not been attending many events lately because I've been sick with bronchitis so this was my first #outaboutnc outing since I returned from Asheville in early April. This Carolina day was gorgeous. 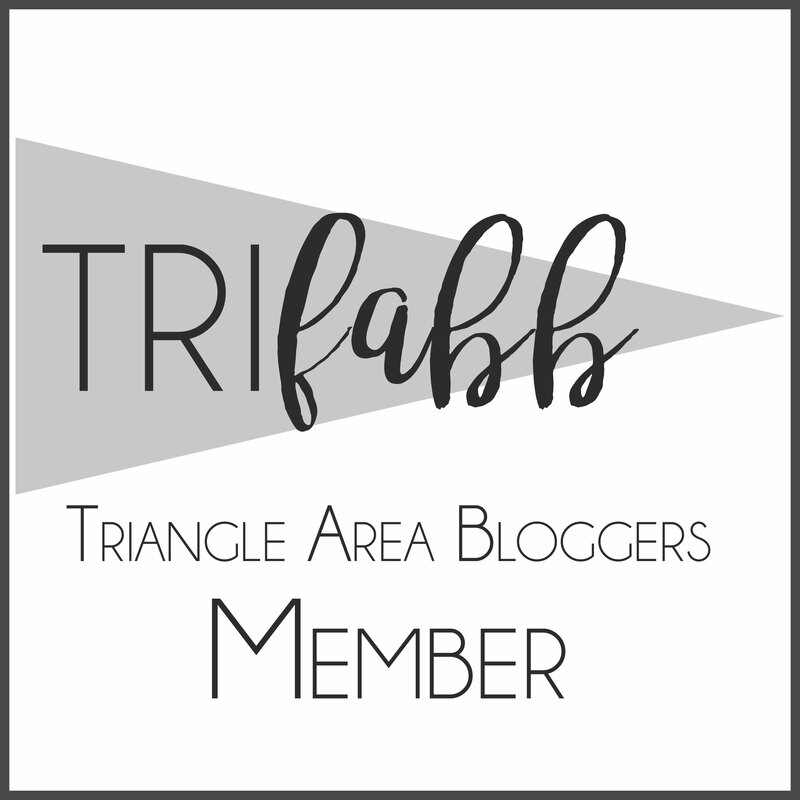 I invited local blogger and friend, Ashley Shaffer, founder of Today's NC, to go with me. We attended the last seating of the day at 4 p.m, and because the hosts probably knew I was getting over bronchitis and everyone feared me, they put Ashley and I at a table alone. Well, that just meant that we got double portions of everything. Hallelujah! I'm going to go ahead and mention some of the sponsors because they helped the Garden Club put on a wonderful event. The tea was provided by Tin Roof Teas in Cameron Village. 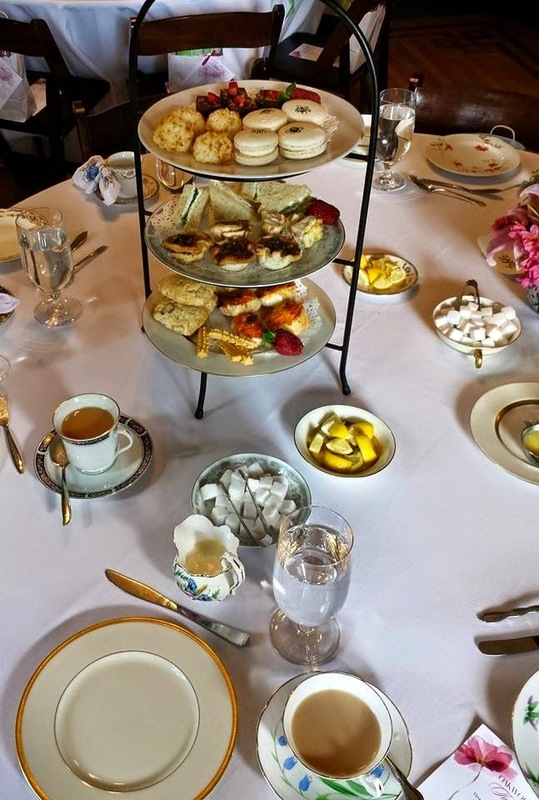 They hand-selected each tea to coincide with each tier of food. The first tea was my absolute favorite. I could have sipped a gallon. It's called Sadhu's Blend. We had this tea with Toasted Coconut, Almond and White Chocolate Scones from Yellow Dog Bread Company, Pimento Cheese and Fig Crostini with Dutch Kettle Apple Jim from Capital Club 16 and Southern Cheese Straws from Side Street Restaurant. The two other teas were Persephone's Temptation (a Green Tea) and the dessert tier was paired with Orange Blossom Oolong. All of the tiers were great, but tier one knocked my socks off. I love a scone, and the Pimento Cheese and Fig Crostini was excellent. 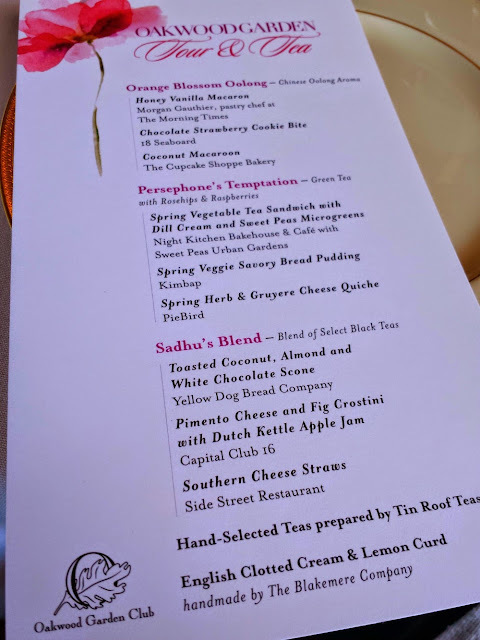 I also ate my share and probably Ashley's share of the Spring Vegetable Tea Sandwich with Dill Cream and Sweet Peas Microgreens from Night Kitchen Bakehouse and Cafe with Sweet Peas Urban Garden. It was a divine event, and afterwards we went through the neighborhood and strolled through several gardens. We walked about 6,633 steps actually. 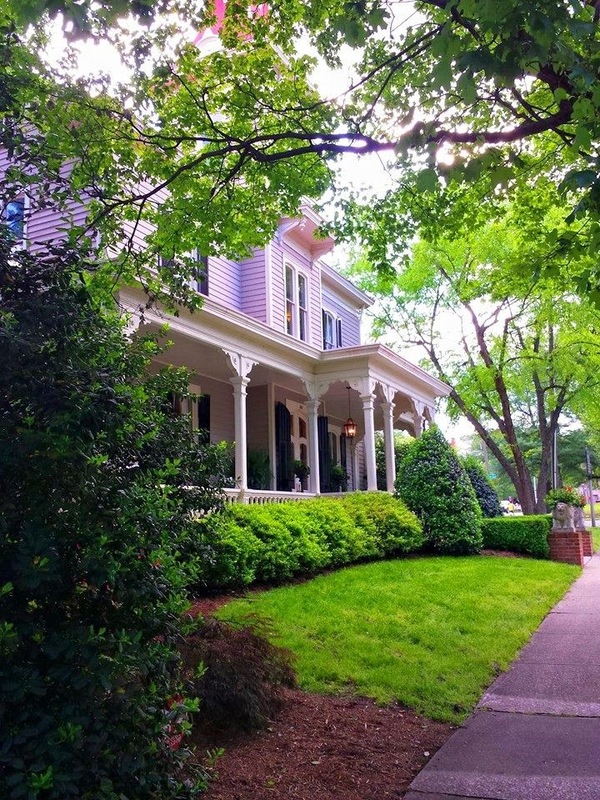 Oakwood is adjacent to Downtown Raleigh, and houses the Governor's Mansion. Here are some of the photos of the gardens we toured. Oakwood hosts a Candlelight Tour every December where the homes become the focus, and the date is set for next year's Garden Tour and Tea. Mark your calendars for April 30 and May 1 of 2016. This event sells out quickly. My thanks to the Oakwood Garden Club for inviting me and a guest to this event as their guests. I helped with some pre-marketing for ticket sales, and I joke that I sold the event out after one tweet. Yeah, it sold out that quickly and of course, I had nothing to do with that little fact, but I sure loved attending.